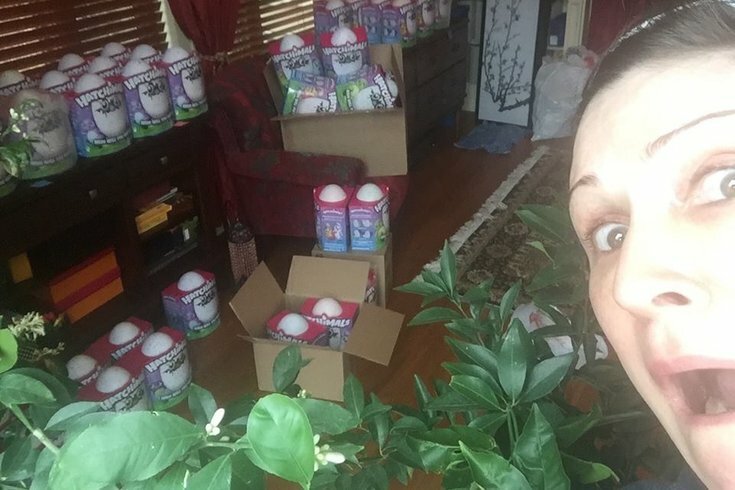 Sara Gruen purchased 156 'Hatchimals' as a way to raise money for a criminal defendant who she says is wrongfully incarcerated. Now, she faces the nightmare of online-retailer restrictions governing the sales of popular Christmas toys. When Sara Gruen shared her tale of “dropping $23,595.31 on hot-ticket Christmas items only to learn online retailers wouldn’t let her flip them for charity” woe, she hoped the attention would help her unload some of the 156 Hatchimals that took over her home. What the woman from Asheville, North Carolina, didn’t expect was an online wave of schadenfreudic disdain (including death threats) from strangers who seemingly got shut out of purchasing the $59.99 egg-hatching, stuffed-animal toys. Luckily, and unluckily, for the New York Times best-selling author, she got both in the day and a half since her story went live. On the negative side? Well, the haters. Overly negative feedback prompted her to delete her initial Facebook post. 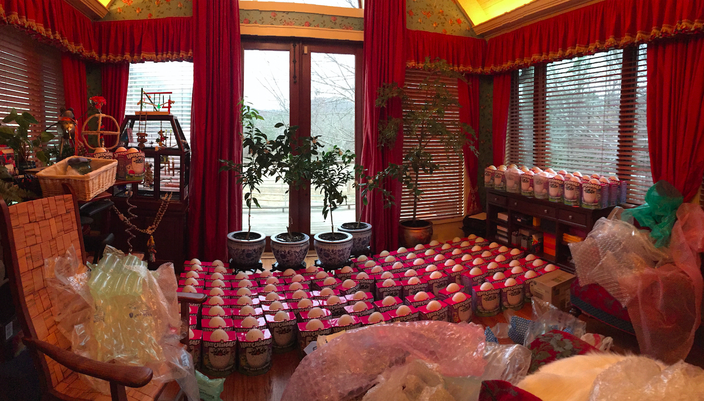 Sara Gruen's home is now a warehouse for the popular Christmas item, Hatchimals. This whole debacle started the day after Black Friday, when Gruen’s husband showed her what Hatchimals were. Her “Spidey sense” zeroed in on the thought that they would be the year’s hottest Christmas gift. That inspired her to spend days bidding on online retailers for Hatchimals that would sell out at physical retailers. She bought 156 of them at an average price of roughly $151, and planned to turn around and resell them via online retailers. That plan went south when the retailers put a limit on the number she could sell out of concerns of counterfeiting and scams. There was some lingering resentment, suspicions of damage control outweighing customer-service deficiencies. Considering the quickness with which the sites apparently reacted, there’s something to be said for both. And just what has been Gruen’s takeaway from these hectic past few days? Anyway, in an effort to avert another flood of emails from Hatchimal-seeking readers, Gruen’s online storefront can be found via this link. The prices have dropped since earlier this week. And no, haters who inexplicably turned their sights on me for writing about this in the first place, I’m not getting a cut. My son hadn’t even heard of Hatchimals before this mess, and they’re not as cool as the Nintendo 3DS that Santa’s bringing, anyway.